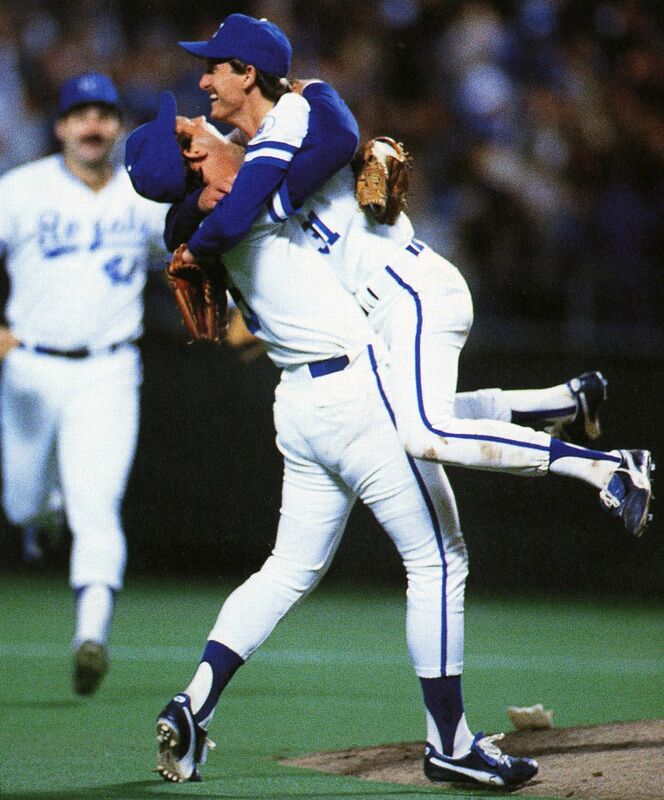 After startling the baseball world with one of the greatest sophomore pitching campaigns in recent memory, Bret Saberhagen upped the ante in the World Series, adding two more wins to his stellar 20-6 campaign, pushing the Kansas City Royals to the team’s sole World Series title in defeating crosstown rivals the St. Louis Cardinals, 4 games to 3, with Saberhagen allowing but a single earned run in 18 innnings, highlighted by a Game Seven, 11-0 shutout. This massive trophy stands 22 inches tall and weighs all of 32 pounds. It was presented to Saberhagen after he was selected as the MVP of the 1985 World Series. 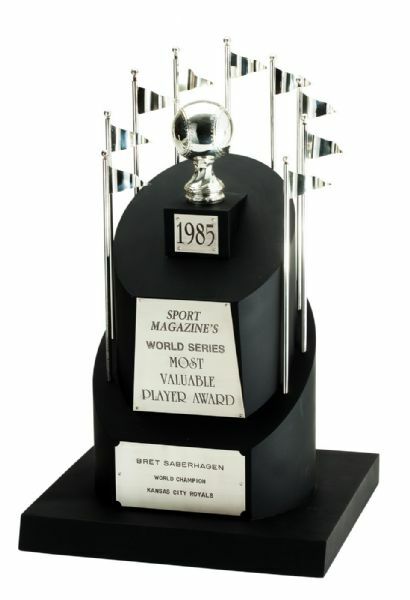 Nine flagpoles adorn the top of the trophy standing over a silver- plated baseball and a “1985” placard. 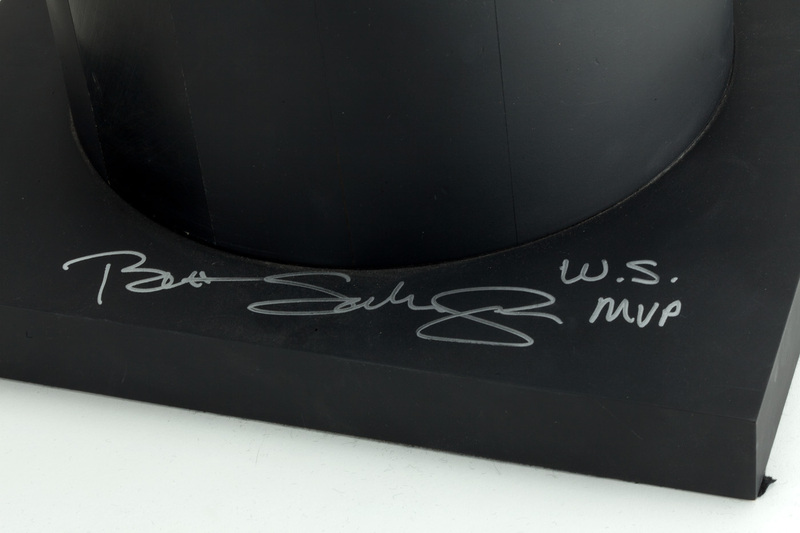 A second placard on the middle tier reads in all caps “Sport Magazine’s World Series Most Valuable Player Award.” A third plaque on the base reads “Bret Saberhagen, World Champion, Kansas City Royals.” Saberhagen has signed in bold, silver Sharpie on the back of the 14-by-13-inch black base, adding his “W.S. MVP” inscription. 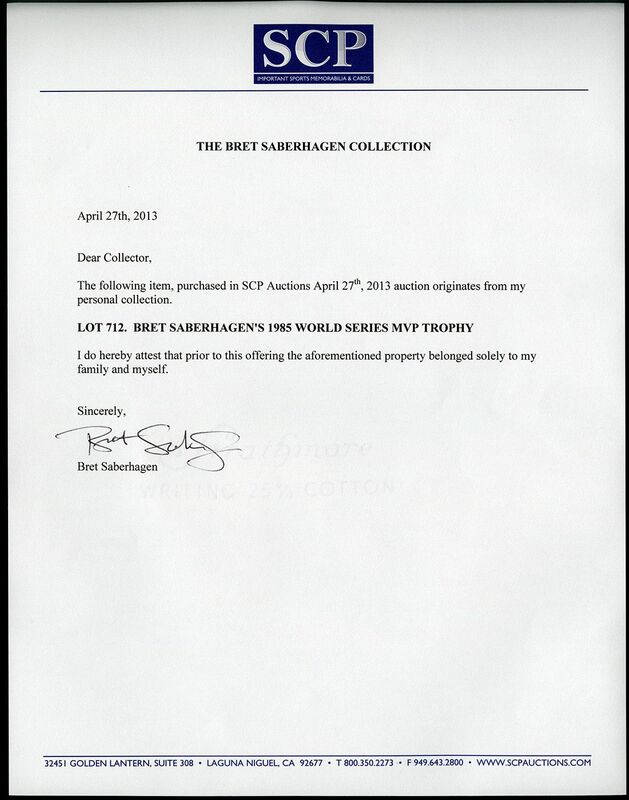 The trophy is in superb condition and is accompanied by an LOA from Bret Saberhagen.